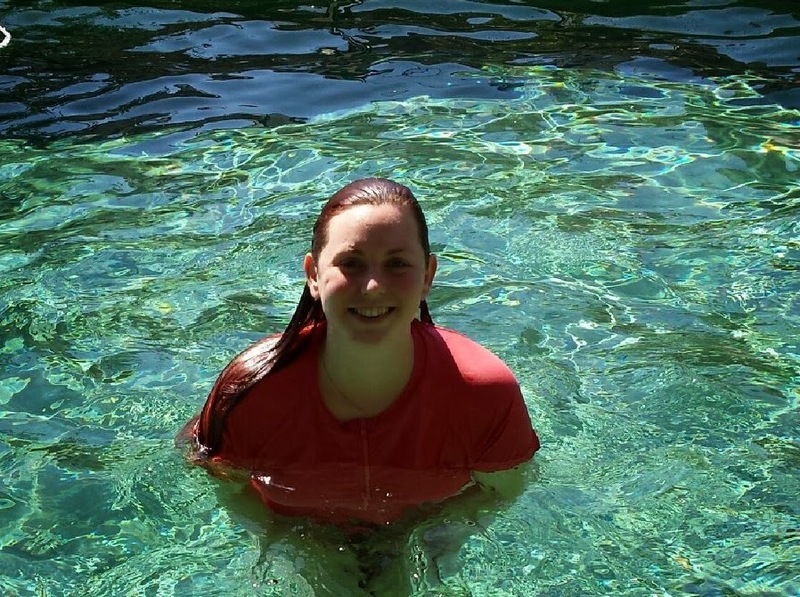 Do you want to know why I love SwimZip swimming suits? Find out here! I am super pale and burn really easily. Like 30 minutes in the sun and I am a lobster. Bunny has my fair complexion and this summer I was slightly (okay very) worried about her sun exposure. Especially since we have a pool in our backyard and I assumed we would be spending a lot of time in the pool. My assumptions were correct. It is early June and we have gone swimming almost every single day. Because I was worried about Bunny’s skin and did not want her to get burned, I decided to try a SwimZip swimming suit. 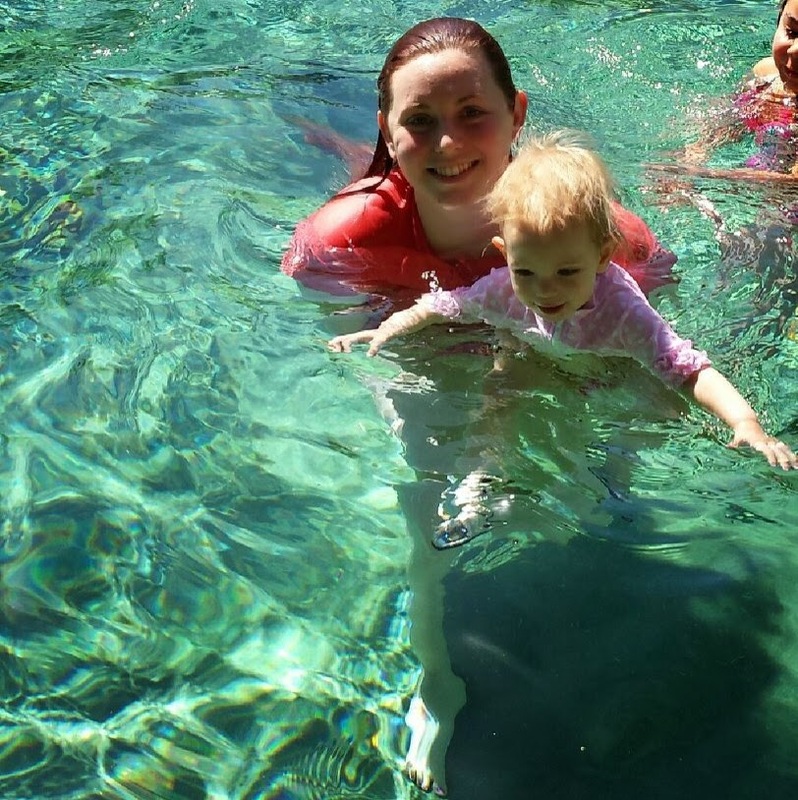 SwimZip is a UPF 50+ swimming suit line for babies, toddlers, children, and even adults. SwimZip swimming suits block 98% of UV rays. Amazing! SwimZip swimming suits have a signature full zipper down the front of their rash guard shirts. The zipper makes it easy to put on and take off your child’s swimming suit. SwimZip swimming suits are really adorable. It was so hard to pick just one! I ended up buying a few more for Bunny, and one for myself too! I love the protection SwimZip offers. I do apply sunscreen to both Bunny and myself before we go swimming (or outside in general), but SwimZip offers unlimited protection against the sun. I do not have to reapply Bunny’s swimming suit after an hour. 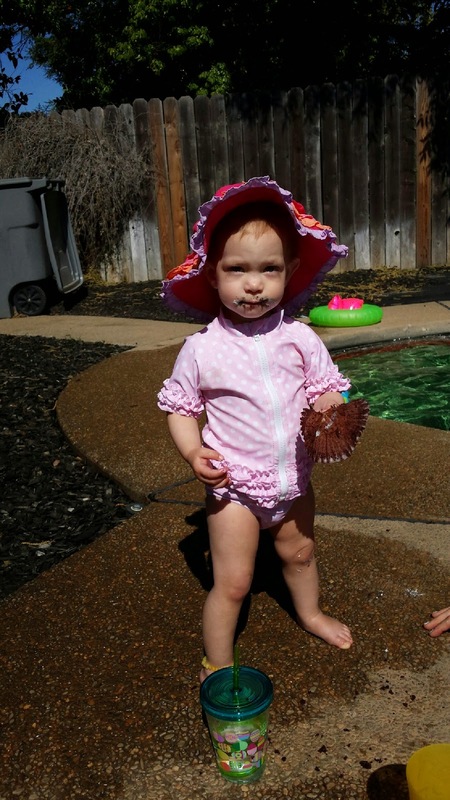 I do not have to worry about her sunscreen washing off in the pool. I love that SwimZip swimming suits are shirts. I love the coverage it offers. My shoulders get burned every single summer, but so far this year, I have not had any sun burns and neither has Bunny! SwimZip swimming suits are VERY affordable. Most rash guards cost around $50, but SwimZip swimming suit SETS cost around $20 to $40 depending on the style. The $40 set is the adult set. The women’s adult set comes with a bikini AND a rash guard! What a deal! I actually bought the adult set just for the shirt! 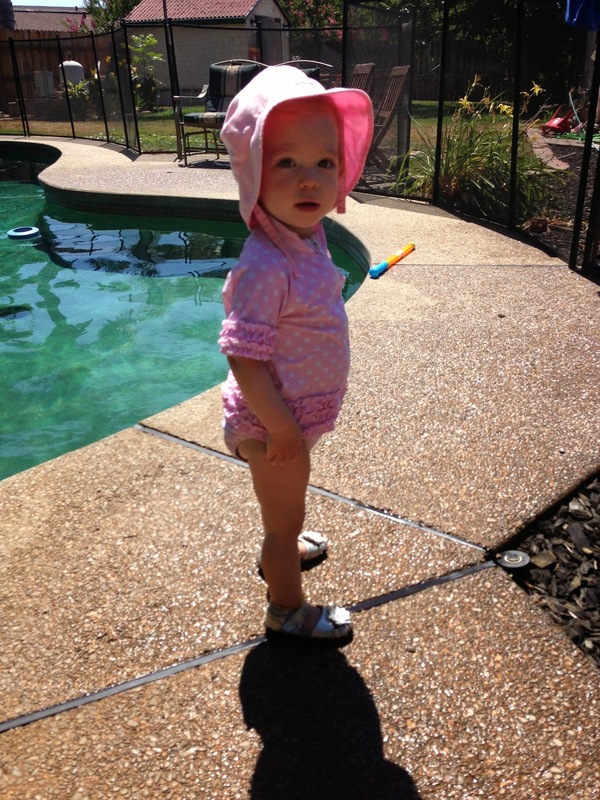 Bunny looks super cute in her swimming suit and is safe from the harmful sun rays. What could be better than that?! We wore our SwimZips to the splash park nearby and recived many comments on how cute we both looked and many questions about our swim wear. SwimZip is my favorite swimming suit for Bunny. Bunny wears this swimming suit almost every day. Bunny’s SwimZip swimming suit has held up well to every day wear and multiple washings. The swimming suit is very durable AND it is super cute! There are so many great patterns and styles, it is hard to choose just one! The boy’s and men’s swimming suits also come with a rash guard which is fantastic! Everyone needs to protect themselves against the sun. When I was searching the internet for rash guards for toddlers, I could not find any that were as cute as SwimZip! The other rash guards were also much more expensive. I love that SwimZip is not just a rash guard, it is an entire swimming suit! Bunny will be sporting this swimming suit for the rest of summer. I really do love the protection SwimZip offers, and I love how cute and stylish the swimming suits are. I only wish they had more options for the adults! SwimZip also offers one piece swimming suits and UV swim covers. Both of these items are a must for a day at the beach! Do you love SwimZip as much as I do? You can buy your SwimZip here!